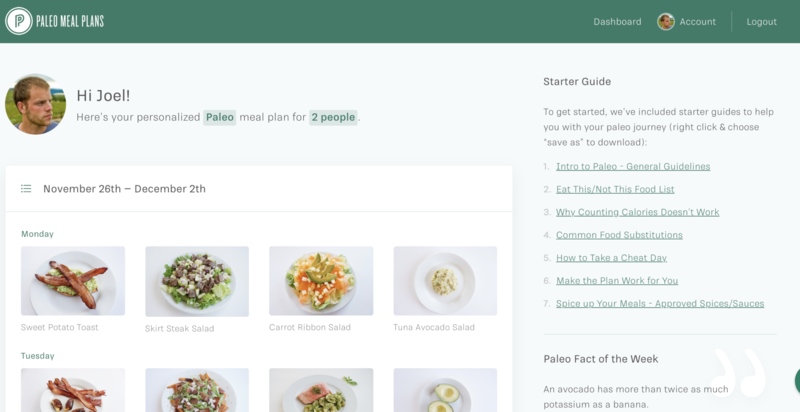 Today, I’m writing about a business I haven’t talked about much at IMPOSSIBLE – PaleoMealPlans.com. I don’t talk about it as much around IMPOSSIBLE, because 1) IMPOSSIBLE isn’t a paleo-specific blog and 2) the business runs semi-autonomously with the team in charge since I spun it out of IMPOSSIBLE X a few years back. A quick history – PaleoMealPlans.com grew out of UltimatePaleoGuide.com – which grew out of IMPOSSIBLE Abs when I first mentioned intermittent fasting and paleo. Since then, UPG blew up – and while we had a series of ads and affiliates on the site, I wanted to build a better product across the board that provided more value and was more helpful long term. So, we moved into meal planning and while customers loved our product and saw results – I knew we could better – both at helping people plan their meals and stick to their goals. 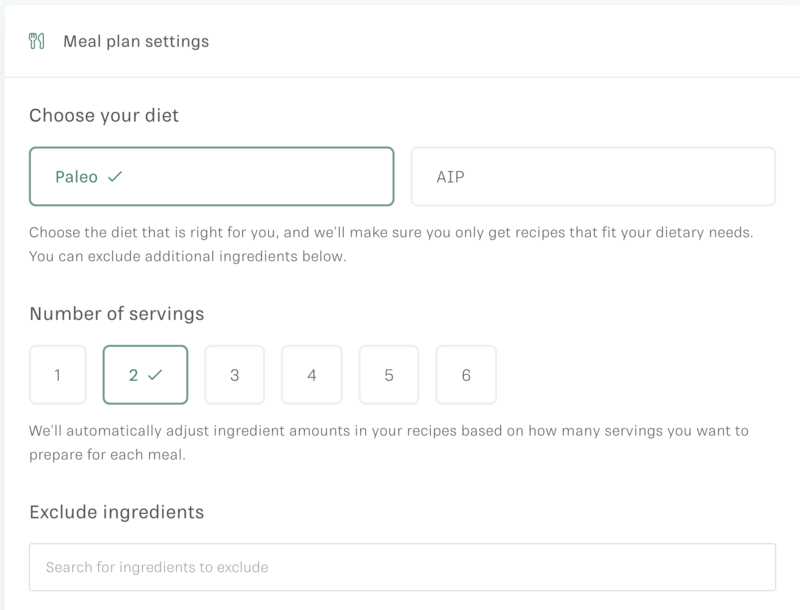 So – today – I’m excited that the team at UPG and PMP are launching – what I think – is the best meal planning service on the internet. Our brand new dashboard is redesigned from the ground up – and designed to show you custom plans delivered just for you each week. Cooking for 1? We got you. Family of 6? You too. Our automatic meal scaling make it easy for you to cook for exactly the number of people you need to. Hate tomatoes? I do. Never eat them again or even look at a recipe that contain them every again. 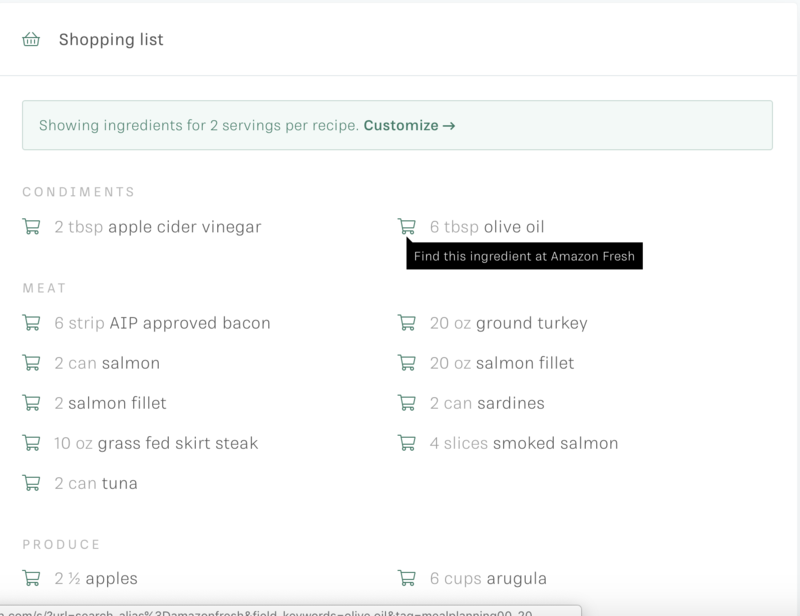 Sure, you can print off your shopping list and go to the store like a caveman, but if you want to save even more time, you can add the ingredients to your cart – right from your dashboard through partners like Amazon Fresh and Thrive Market. Designed for taste without sacrificing efficiency – every recipe in the meal plan comes with our 15/5 guarantee – 15 minutes, 5 ingredients. Every recipe. Every time. No more weird ingredients or hours in the kitchen. Eat great. Cook fast. Simple. Just by being a member, we offer a series of perks and discounts exclusively for our meal planning members -so you can save even more money and time through paleo and AIP friendly services. We’re launching with paleo plans and AIP friendly plans, with plans to add Keto meal plans by the new year. The launch coincided with Black Friday (hint: I don’t recommend this), but it’s live and lets us move forward. If it’s not perfect, our team is working feverishly to squash the bugs in the system. Want to give it a try? We have a 44% off annual offer right now that lets you save BIG while gearing up for the near year. This has been in the works for 8+ months and I’m excited for our team to get this off the ground. I’m even more excited to share the 44% off discount if you need a way to stick to eating great food while saving time. In the scheme of various launches over the past few weeks including the FPC Protocol, Sweat Activated Apparel, Impossible Fitness Calculators (plus new stuff coming up) – getting our Meal Plans live is huge and we’re excited to see both old and new members try it out.